How do you run 50 miles in one go, when you typically only run five? More generally, how can you achieve a 10X performance improvement in your endurance abilities in life? Let me share my experience in case it may help you too. 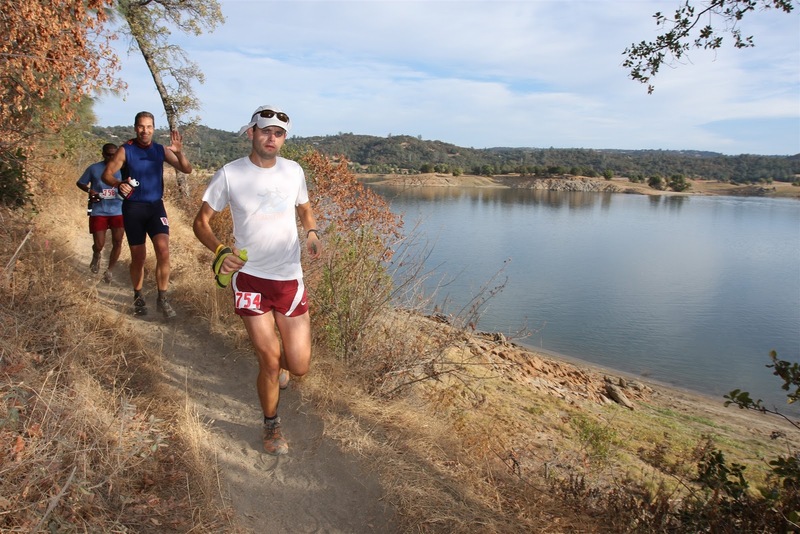 The American River 50 Mile Endurance Run (AR50) is a gorgeous trail run between Sacramento and Auburn, CA. It’s the second biggest 50 in the US, about 900 runners do it. I ran it in 2011 in 12:34, just 26 minutes faster than the cutoff time of 13 hours. I took lots of 5 minute rests and had some great snacks at the plentiful aid stations the last thirty miles, but I had to keep mindful of the time. My safety margin kept slipping away at every aid station, but I was also that much closer to getting my finisher’s jacket, which I got at 6:34pm (6am start). It was an amazing experience. I wanted the challenge of a full day of running/hiking on trails, and to see how much harder it was than typical marathon. Many folks say a marathon is 20 miles of easy plus a mentally and physically hard 10K at the end. By comparison I’d say the 50 is 30 miles of easy with alternating hard and easy stretches afterward. It’s much more mentally than physically challenging, and that’s its real allure. Beat 50 miles, and you feel superhuman for the rest of the year. Marathons will forever after feel short, as well as other mental challenges that require all-day endurance and focus. In 2012 I ran it in 12:21. Not much faster, but the second time I had no blisters, and a lot more fun. In 2013 I ran it in 10:24, a major improvement (almost two hours!) due to some strategies described at the end of the post. I enjoy the process of improving a little bit each year (not hard with a 50, if you start easy!) and I presently see this run like an “annual checkup”, a great way to measure just where I’m at, physically and mentally, with respect to endurance challenges. Believe in your abilities, and discount conventional wisdom. Most running coaches might roll their eyes, and tell you what I just did won’t work. But they’d be wrong, and I’d never have tried if I’d stayed with conventional wisdom. There are certainly many ways to fail in a challenge like this, especially if you enter with superlight mileage as I do. 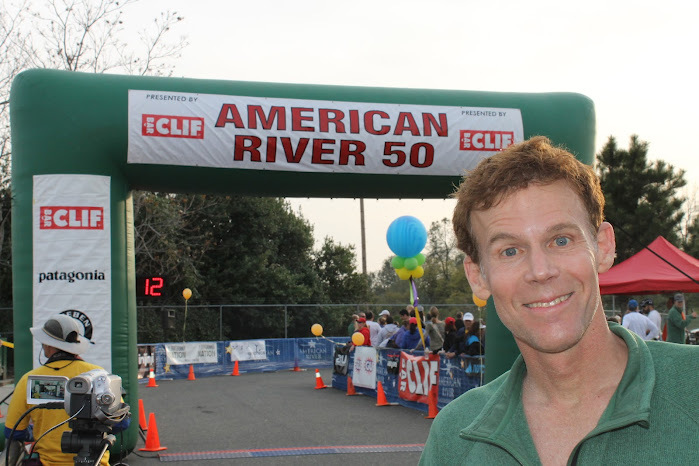 160 of the 850 AR50 runners DNF’d in 2011, a typical ratio. But there are also many ways to succeed too. Everything starts with believing in your innate abilities. They are in there, and a challenge like this will draw them out and put them on display in front of you. They may be weak at first, and you may want to quit halfway, rationalize, get sorry for yourself, get depressed, etc., but if you persevere, listen to yourself, don’t judge, let the emotional storms pass, a new stronger, calmer, smarter you will emerge, very pretty to see in the light of the challenge. Yes, you can prevail! Find the right strategies, tools, and habits. The most important prerace strategy for an endurance run is to go in healthy. I personally prefer a pesceterian diet, intermittent fasting (more on that at the bottom of this post), and three or more hours a week of variable heart rate cardiovascular exercise. 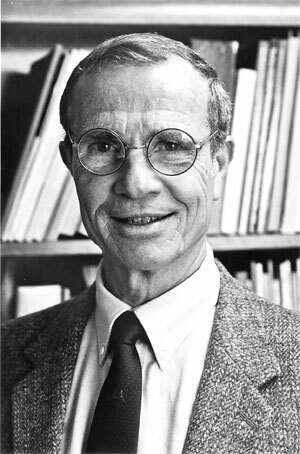 Ralph Paffenbarger in 1986, studying Harvard Alumni, collected the first evidence that we humans gain a longevity benefit all the way up to 3,500 calories of cardio activity per week, or about five to seven hours a week of sweating exercise, depending on how hard you train. According to Paffenbarger, if you do less cardio than that you are leaving longevity on the table. This also means that more cardio than that will likely kill you earlier. Longevity researcher and caloric restriction pioneer Roy Walford found this with mice. At first exercise extends their life, but then more actually shortens it. Ouch! It also helps to do High Intensity Interval Training (HIIT) as part of your exercise, at least once a week. 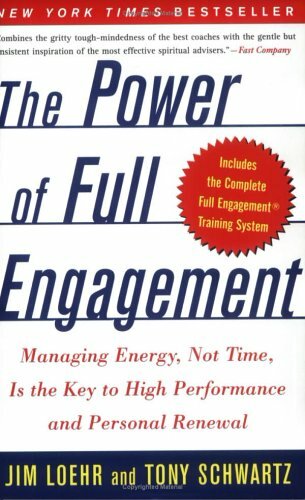 Short bursts of peak effort, followed by short recoveries will build your peak power, endurance, and VO2 max better than any other form of training, as described in Jim Loehr and Tony Schwartz’s The Power of Full Engagement, 2004. The beauty is that intervals take no more time than regular exercise, just more willpower. So they train your resolve. Do them at least once a week and that will keep your heart strong and your mind in the game. To combat boredom and avoid injury, I like to cross train (mix up my exercise), to get that 4-5 hours of cardio (Paffenbarger Ideal). Each week I try to do three 5 mile runs, one or two 30 min swims, and either a road cycling (90 mins) or Bikram Yoga (90 mins of high heart rate and sweating) session. I may swap any of these out for things like basketball, tennis, dancing, ultimate frisbee, or a skatepark session. For one of my weekly runs I try to do intervals with the local Palo Alto Run Club at the Stanford track, or at my local high school track. This ends up being three to four hours of cardio a week, on average, which is about an hour a week below the Paffenbarger Ideal. Doing more running would be the easiest way to get that extra hour of cardio, I just can’t seem to do it, yet. The last prerace strategy that matters for the AR50 is that you need be reasonably fast already on short runs. As I said if you run slower than a 13 hour pace they won’t let you finish the last half of the race (they bus you back to the start). If you can run a flat road marathon in 4:10 (my PR is 3:45), or a half marathon in 1:58 (which used to be my typical, but now I’m running 1:30), you’ve got what you need in terms of base speed. Use the excellent McMillan Running calculator to predict your 50 mile time based on other runs you’ve done. During your weekly runs, try to do as much as you can of a technique called Chi running or “barefoot running“, wearing minimalist shoes as often as you can to build up strength in your feet for any short (5 miles or less) run. The most important thing to remember with this kind of running is that the sole of your foot is your friend, and the heel is not your friend. Try to spring off from and land on your forefoot or midfoot, with your heel only very lightly touching each time, not striking, as we do when we are tired or lazy. 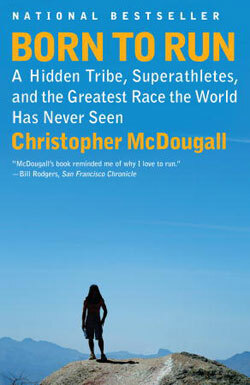 Danny Dreyer’s Chi Running, 2009, will give you some good tips on the technique, and Chris McDougall’s Born to Run, 2011, is a great book to get you psyched to run more this way in general. In Chi running, every footfall is both a dance and a meditative, nearly effortless act. It’s the way you would run if you were a Tai Chi practitioner. It’s the way your body and mind are built to run. You want to land as light as possible, and on your forefoot as much as possible, and you’ll spare your joints and muscles the shock and damage of repeated heel strikes, as well as greatly build up your lower leg musculature. Your feet become like iron, your body like a cat. As for your mind, it helps to think of yourself like Kwai Chang Caine walking across the ricepaper in my favorite philosophical TV western series Kung Fu, 1972-75. Make your impressions on the Earth as light as possible. Make no rips in the rice paper, grasshopper, and you will be running in tune with the ground, your body, and the Universe. It’s an extremely fun and meditative act to run like this, even if you can only do it for just minutes at a time at first. It will recenter, calm, and replenish you, believe me. 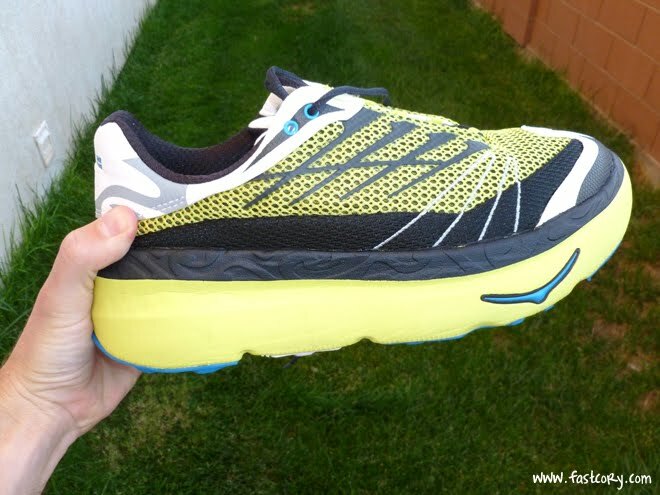 The most important gear I can recommend for the race is running in Hoka Mafates, a super thick-soled yet ultra-lightweight shoe that most of the running world doesn’t yet understand. Though you don’t want to run in these for your short runs, as they would make your feet weaker over time, the Hoka is the ideal shoe for your long runs, to keep your feet from getting beat up. It’s also a great recovery shoe. I also strongly recommend a good shade hat like the Columbia PFG, to keep the sun off your neck, and a white long sleeve open mesh shirt, like the Heat Gear T-Shirt by Under Armour. It’s also a great idea, on hot days, to wet down your shirt at the aid stations, to keep your cool, and to take your shirt off for the last two hours, when the sun gets lower. Shirts and hats with ice/sponge pockets exist now too. The Craft Kona Body Control top, worn by triathletes, is excellent for regulating body temperature in races. It has one ice pocket sewn into it at the neck, great for dropping ice into it at the aid stations. If you run in heat a lot, you can take these garments to your tailor and get more ice pockets sewn in, and line them with a thin sponge, so that as the ice melts, it cools the sponge, and runs down your shirt and head, but doesn’t freeze against your skin. On race day, the most important strategy is to go out very easy, and run your first half much slower than you want. I currently do the first 25 miles in 5 hours (12 minute miles). This gives me lots of power for the second half. Also very important is eating and drinking regularly. I recommend the chicken noodle soup broth (3 cups per station, instant blood plasma substitute, instant awesome feeling!) whenever you can find it. Postrace, a protein shake on recovery will have you feeling amazing afterward. This year I’m walking almost normally (typical post marathon stiffness) the next day, and I’ll rely mainly on swimming for my cardio for the next week. Do it with others. Doing the challenge with a lot of other motivated people has been one of things that makes it fun. Striking up relaxed conversations with others who are on the same pace, and running an hour or more with them on the trail is also seriously motivating. Sharing our strategy tips and regularly asking “How are you feeling?” allows us to stay in tune with our bodies, and the conversation makes the miles disappear. Listen to yourself. One of the great benefits of a good challenge, beyond accomplishing it, is how you get changed by doing it. An endurance challenge is all about paying attention all along the way, so it improves your ability to self track, and to be here now. You learn to quickly adjust your stride if you are feeling tightness or pain. Pay attention to your needs, stick with successful strategies when you find them, and keep varying and experimenting when you aren’t sure how to fix a problem. Good self-monitoring also helps you get better at staying just within your bounds, so you don’t overdo it and lose the opportunity to challenge yourself again next week. Try to push your ability to tolerate reasonable pain, but don’t feel bad about dropping out (DNFing) if things get too bad. Just showing up regularly to compete is a big win in itself. Break it into small steps. How do you eat a whale? One bite at a time, according to the folk saying. Everything big is best completed in small, digestible chunks, well-chosen and well-rewarded on completion. On the trail, I didn’t think about running the whole race, just think about getting through the next 10 minutes. Once completed, reward yourself with a drink, a bit of food, a quick trail stretch, or some other bonus. In the rocky sections of the trail, where toe stubbing and tripping is common, I learned to focus on each footfall, and anticipate the reward of getting to the next smooth section, where I could look up at the scenery again. Make it epic. Choosing the American River for my first 50, the second largest and most beautiful 50 in the country, certainly made it easier. The scenery, running next to water the whole way, was gorgeous. I kept reminding myself what a special experience it was, how few people get to run 50 miles of gorgeous trails in a day. Whatever your order of magnitude challenge, see if you can do it in an epic way. Take time throughout to reflect on the special nature of what you’ve committed to do, and to ask yourself how you might be changed or improved by successfully completing it. 2012 Update: Minor speed improvement this year, from 12:32 to 12:21 (9 minutes). Again, I did no prior training, but this year decided to duct tape the pressure points on my toes before the run (not the whole toe, as they swell, but most of the way around). I also added an inch-wide band of moleskin across the top of my three biggest toes. This made my feet a whole lot stronger, and I came out with no blisters, unlike 2011. Otherwise everything went the same, except it was mentally easier the second year. 1. Antiblister Socks. This year I switched from duct taping my toes to an amazing antiblister sock combo, Injinji Lightweight socks underneath Cool Max double layer Wrightsocks, a combo I discovered at Fellrnr, a great ultrarunning site. Wow! No blisters, and no more taping of feet. I use these on all my long runs now. 2. Hoka Mafate 2’s, a size too big. Fellrnr wears Modified Nike Free’s, cutting out the top of the toe box, so his big toes and little toes don’t get compressed by the shoe. I’m lazier than that, so I bought the new Hokas, but got them a size too big, so I had lots of room in the toe box. This allowed me to wiggle, stretch, and scrunch my toes during the run, which kept my feet very happy. 3. Five weeks of training, Sat and Sun only. Looking over ultra training plans on Fellrnr’s site, I decided two long run days, back to back (Saturday and Sunday) for five weeks before the race, with a one week rest after, would be good extra practice. So for five weeks I ran a slow 2.5 hours on Sat and 2 hrs on Sun. I just headed out the front door and ran to somewhere interesting, then turned around at half time, to minimize the time and mental energy invested in these long runs. Try audiobooks and music to keep such long runs interesting. 4. Intermittent Fasting and Optimized Fat Metabolism. For the last two years, I’ve been doing the Fast-5 intermittent fasting (IF) eating regimen, allowing your body to get just a bit hungry, for a few hours, five times a week, by eating only five hours a day on Mon-Fri (skipping breakfast and lunch), with normal eating on weekends. 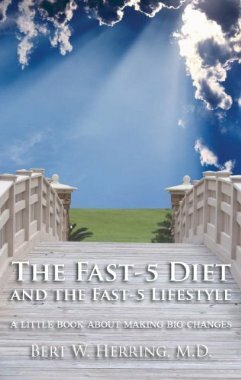 See The Fast-5 Diet, Herring, 2005, for more. But that alone didn’t speed up my times last year. What I did differently this year was add Optimized Fat Metabolism (OFM) to my training. What that means is that in my long and slow weekend runs, all I brought to eat was a bit of good fat (avocado, or almond butter or coconut manna on cheese) which I ate only when I was starting to bonk. Also I shifted my regular daily diet to eating fat first Monday to Friday, like a whole avocado, before eating anything else, to increase the percentage of good fat calories in my diet. Along with intermittent fasting, these OFM strategies teach your body to burn your stored fat better, giving you extra energy during your long runs, and in your normal workday as well. Most people, who eat at the first twinge of hunger, forget how to burn their body’s fat, and can only burn their glycogen stores, which are 10X less than your fat stores. So you have a lot less internal energy your body can tap as a result. 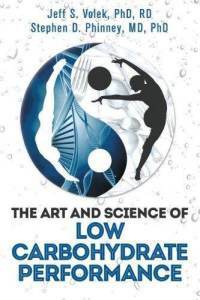 For more, read the excellent The Art and Science of Low Carbohydrate Performance, by Volek and Phinney, 2012. I’d guess that OFM gave me some extra speed in the second half of the race, but how much is hard to guess, as I also did the five weeks of long prerace weekend runs as well. Now that I’ve knocked down my 50 mile goal, I’ve decided a good new goal will be qualifying for the Boston Marathon. My last marathon (2006) I was about a half hour too slow to qualify, but with these new tools and strategies, I’m seeing possibilities again that simply didn’t exist before. Thanks for reading, and I hope you find some of this useful for your own journey!